Brian Monahan is an attorney, policy analyst and a Harvard Kennedy School Mid-Career graduate from the Class of 2018. He lives in Lexington, MA with his wife, Rhonda, and two daughters, Keira and Madeline. Brian can be reached at Brian_monahan@alumni.harvard.edu. In the Spring of 2018, just before my Harvard graduation, I received some news: the kidney transplant I had received in college was failing and I would need another one. I had waited for six years in Boston for my first kidney transplant after going into kidney failure in high school. As a father of two toddlers, I worried about how another long wait would affect my family. According to the National Kidney Foundation, there are currently 121,678 people waiting for lifesaving organ transplants in the United States. As of November 2016, 100,791 await kidney transplants. The median wait time for a kidney transplant is 3.6 years and can vary depending on health, compatibility, and availability of organs. Thirteen people die each day while waiting for a life-saving kidney transplant. For years, since the first successful kidney transplant in Boston in the 1950s, healthcare providers, policy makers, and academics have searched for a way to make the medical miracle of transplantation available to more Americans. As a transplant recipient myself, I spent my student years at the Harvard Kennedy School paying rapt attention to my professors as they described innovative ways to harness the powers of behavioral economics to “nudge” more people to register as organ donors. And now, I had to find a donor once again. Donating a kidney for another person requires a lot from the donor – months of testing, marshaling the support of family and friends, and time away from work. Beyond the practicalities of the process, it requires a special kind of courage and uncommon sense of altruism. As challenging as it is for the donor, a recipient has challenges to meet as well. The toughest of these are mustering the courage to ask another person to make such an extraordinary sacrifice for you, but also making your need for a donor as widely known as possible. In desperation, my wife and I turned to facebook and my wife tackled the first challenge for me. After being tested and told that she could not donate for health reasons, she went to her facebook page to ask others to be tested as well. She provided the link to the Massachusetts General Hospital Transplant Program website where people could fill out a short survey anonymously to see if they were eligible to become donors. Then came the “spreading the word” part. Her post was shared countless times, making its way from the east coast to the west coast, and beyond. We received many well-wishes in response to our post, but because the donor selection process is kept private to protect the donor, we did not know if any donor was even being tested. This March, just before my birthday, after a year on the transplant list, the hospital called to tell me that a donor had undergone testing for me and was approved. My first question for the nurse was whether I could know her name. Her name is Aimee – a second cousin I had met only once as a child but who with the help of facebook will now make it possible for me to watch my own children, aged 4 and 3, grow up. An educator, Aimee had graduated from Harvard’s Graduate School of Education, and is raising two children of her own on Boston’s South Shore, one of whom shares a name with my daughter. 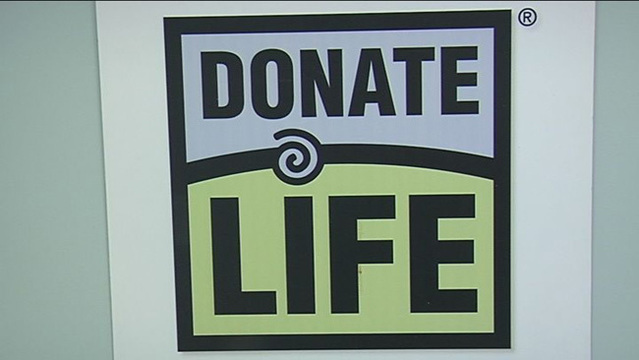 The month of April is “National Donate Life” Month. It is a month set aside every year to celebrate the stories of the many people saved through organ and tissue donation, but more importantly, to provide much deserved recognition of the heroism of the donors and their families that makes this annual celebration possible. It is also a month for the promotion of the vital need for more altruistic donors like Aimee. As a student at HKS, I was taught to think about the important role policymakers play in solving unsolved problems, such as the ongoing need for more organ donors. What this experience has taught me is that individuals themselves also have a role to play: we can assist policymakers in this work. Massachusetts residents can register as organ donors on the Massachusetts Registry of Motor Vehicles website. Nationally, people can register at the U.S. Department of Health and Human Services website, organdonor.gov. Those considering living donation can find more information about the process on the Massachusetts General Hospital Living Donor Program website. This April, HKS can make all the difference. Spread the word about the importance of registering as an organ or tissue donor.